MDG success is shared success. "MDG Success Stories" shines a light on the inspiring programs that are helping us move towards achievement of MDGs 4, 5 and 6. Mali has one of the world’s highest rates of child morality and, like other poor counties, a reactive health system: Doctors, nurses, or health workers generally wait for patients to visit and charge fees that many families can’t afford. The Malian Ministry of Health along with two NGOs, Muso and Tostan, have made a huge impact by inverting this model — bringing a stronger health care system to community members, door to door, to keep healthy families healthy, and reaching sick families earlier. Last year 6.6 million children around the world died before they could reach age five. Most of these children were killed by diseases we know how to prevent and cure: pneumonia, diarrheal disease, malaria, and neonatal illnesses. In an effort to end these deaths the global health community has successfully mobilized resources for life saving commodities like vaccinations, bednets, antibiotics and antimalarial medication. But commodities alone are not enough—saving lives depends on getting the tools to those who need them most, rapidly. For so many illnesses, timing is crucial. But for the world’s poorest communities, various barriers can delay sick children from getting the care they need in time — health centers are too far away; fees for seeing a doctor or the cost of diagnostics and treatment can be too high; and as a result parents often seek treatment when things have gotten truly dire, and frequently, too late. Mali has one of the world’s highest rates of child morality. And like other poor counties, its health system is reactive: Doctors, nurses, or health workers generally wait for patients to visit and charge fees that many families can’t afford. 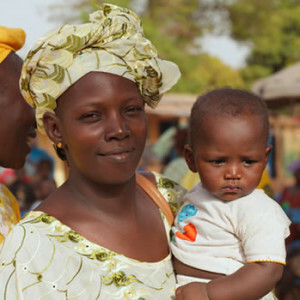 A partnership between the Malian Ministry of Health and two NGOs, Muso and Tostan, is inverting this model—bringing a stronger health care system to community members, door to door, to keep healthy families healthy, and reaching sick families earlier. Doorstep Health Care: Community Health Workers proactively search for pregnant mothers and sick patients through door-to-door home visits. Rapid Referral Network: A network for community organizers mobilizes each household to identify vulnerable children and bring them in for care on the first day they become sick. Removing Out-of-Pocket Fees: Fees for health services were removed for patients who could not afford to pay. Solving Root Causes: Education, community organizing capabilities, management skills, and employment opportunities enable community members to overcome conditions of poverty that cause disease. The results are more than encouraging. The area of the intervention—Yirimadjo—had a population of 56,000 at the time of the study, and of that approximately 11,000 were children under the age of five. At the start of the project the rate of child mortality was 155/1000. Just three years later, the rate of death for children under age five was 17/1000. A ten-fold difference. As a next step, Muso and Tostan plan to replicate the model in rural Mali and conduct further impact research.